As you sit down to eat lunch by yourself again today, I want you to know that you’re not actually alone. When I was in 7th grade, I felt like an outcast too. For the first several weeks of school, I sat at a lunch table surrounded only by the frizzy hair shielding my flushed, embarrassed cheeks. I wore off-brand jeans and dorky t-shirts, and I participated in all the “geeky” activities. Apparently no one wanted to sit with the shy, weird girl. One day, I scoured my fourth period science class for a friendly face, and I finally asked a girl named Joanna if I could sit with her at lunch. Shockingly, she said yes, and I started eating at her table every day. By the end of the year, I was still wearing similar clothes and fixing my hair in the same way, but I was much more confident, and I had a few friends. I want you to know that life gets better. There are peaks and valleys, and middle school is certainly a low point for most of us. Over the next few years, you will learn that you don’t need to change yourself to make friends. You’ll grow into who you are, and you will find friends who are equally weird, wonderful, smart and fun. You won’t eat lunch alone forever. In fact, you don’t have to sit by yourself again, if you don’t want to. Look up. Smile. Watch for a new friend in class.You might just surprise yourself with how many people would love to have you sit at their table tomorrow. You are not as alone as you feel right now. This entry was tagged courage, determination, growing up, inspiration, mentorship, middle school. Bookmark the permalink. Ah good ol’ BCS ( the school, not the area). Were you there in the first grade? 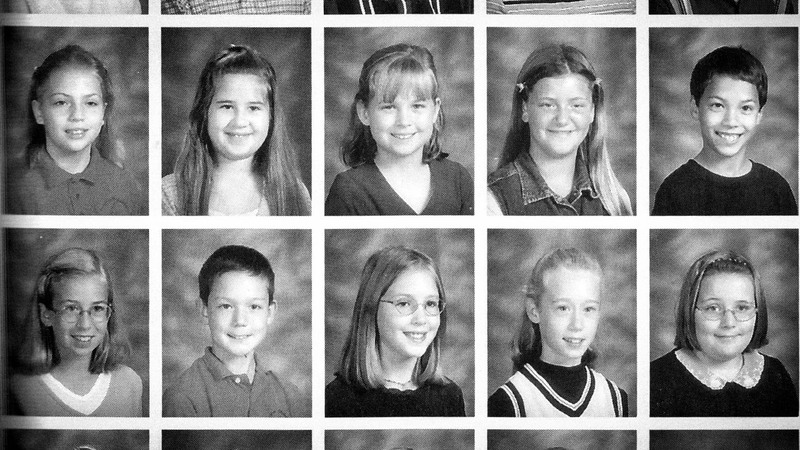 1st grade was my only year there, but I recognize some of my classmates. On a more related note, I wish it was easier for kids (I guess everyone really) to see the hope even when things seem hopeless. Although, it does help to have a friend or role model there to remind you. Keep up the good work! Britney! I was at BCS in first grade. Had the fabulous Mrs. Childers that year. Thank you for your comment. Growing up is tough for all of us in different ways, and I think it helps a little to know that you’re not alone.